A number of concerns cause procurement officers to think twice about purchasing energy generated by wind farms, one being that it won't provide enough electricity to satisfy their needs. So, green power companies are relying on their research and development teams to create superior designs. It's an intimidating prospect, but one that's produced some interesting results. Sustainable Business acknowledged one endeavor being carried out by researchers at the University of Wollongong in Australia. The team is focusing on developing turbines that are 1,000 times more efficient than today's implementations. In addition, the group hopes to make these turbines incredibly affordable - about $3 million to $5 million cheaper than today's models. How are they doing it? Lead research Shahriar Hossain said the team is employing superconductors instead of a gear box. The advantage of this approach is that superconducting coils convert wind into electricity without losing any power. "We are developing a magnesium diboride superconducting coil to replace the gear box," explained Hossain, as quoted by the source. "This will capture the wind energy and convert it into electricity without any power loss, and will reduce manufacturing and maintenance costs by two thirds." Magnesium and boron are both affordable, robust materials that are easy to produce, giving the coils a significant cost advantage over the gearboxes used in most active turbines today. One of the greatest advantages to using these substances is that they don't generate electrical resistance, meaning they can store power for long periods of time. Overall, spend management professionals would do well to pay attention to how this development matures. Recharge News acknowledged one Boston-based company that has scrapped the tower structure completely by creating an open-centered, helium filled blimp possessing a three-bladed rotor. This particular design can capture wind at higher altitudes, generating more electricity than its tower-based counterparts. The Buoyant Airborne Turbine was invented by Altaeros, which was first established in 2010 at the Massachusetts Institute of Technology. 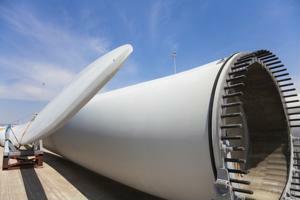 The enterprise asserts that its BATs do not require the cranes and other equipment required to set up conventional turbines. The Alaska Energy Authority's Emerging Technology is partnering with Japanese investment firm SoftBank on an 18-month project that will record the energy output of a BAT placed 300 meters in the air, although the unit can be placed at twice that height.